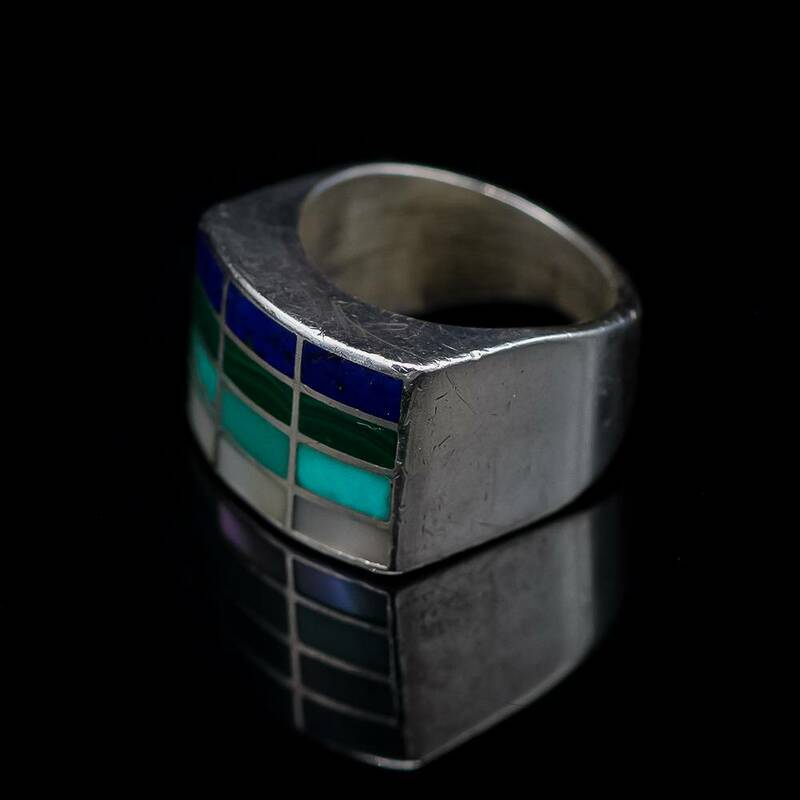 Zuni Inlay & Sterling Silver Ring. 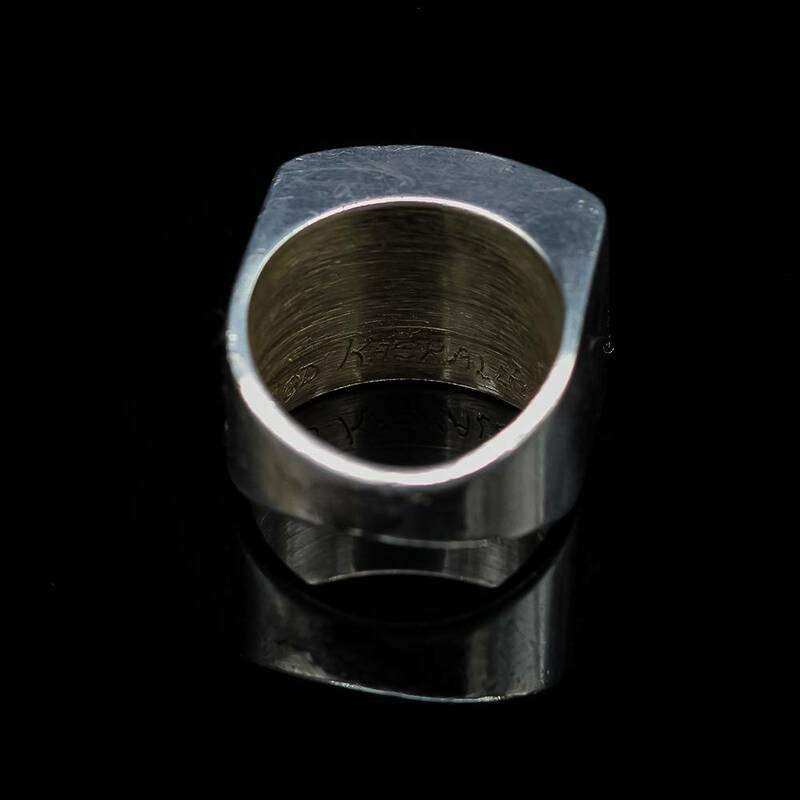 Ring Face Measures 3/4" x 5/8". Zuni jeweler Roderick Kaskalla has been actively making jewelry since the 1960s. 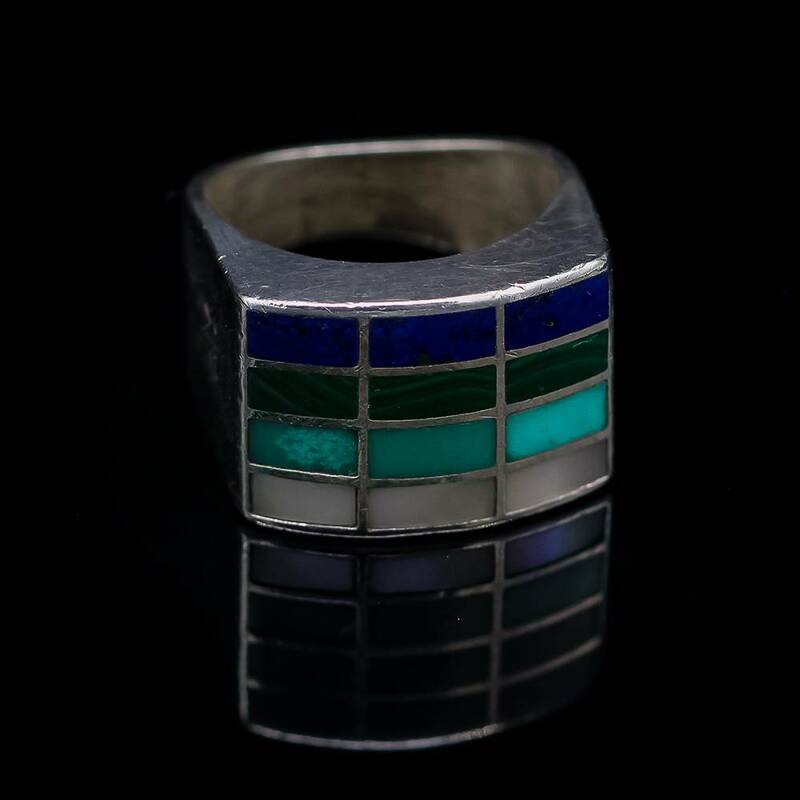 This handsome ring has rectangles of lapis, malachite, turquoise and mother of pearl that are cut with preciseness, inlaid and layered for a wonderful effect. This perfectly captures the spirit of the southwest with a gorgeous contrasting inlay design. This work of art is sure to become your new favorite accessory.